Steve provides more marketing of your home than most Realtors. Your home will be properly priced. There will be no over estimating the value of your home just to get you to sign up. You can of course decide to try a price you had in mind, even if it is higher than what was recommended. Call Steve for a confidential interview. Only about one hour is needed at your home to show how your home will be marketed so it sells in a reasonable amount of time and for the highest possible sale price. Staging Tips will also be provided to guide you in getting your home to show its best which helps get top dollar. Steve services the entire St Louis area. 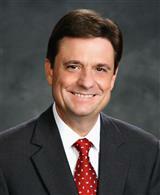 Steve has successfully sold homes in West County, South County, St Charles/O'Fallon as well as in St Louis City. These are services that are usually provided by all major brokers. Asks agent: If There Is Any Interest? How Well Did Home Show? Was home priced properly? Optional, you could decide not to have one. Sometimes not used on a vacnt property to deter theft..
At no extra cost to you. Typically NOT provided by other Realtors. The more on-line exposure I have increases possible buyer inquiries. ELECTRONIC SIGNATURE SERVICE - When an offer comes in on your property, or for any documents that need signing between acceptance and closing, I use DocuSign for electronic signatures through your email. This service provides ease and convenience in selling your home. It is real easy to use and can be done from a notebook computer or a Smartphone. No need to meet at the office to sign paperwork, or bother with faxing or emailing back signed forms. Just click to place your signature, and upon completion, the paperwork automatically gets emailed to where it needs to go. Wow - You will wonder how we got along without this tool in the past! Of course, should you ever want to meet face to face to have a discussion before signing anything, that is always an option for you. TO DO INSTRUCTIONS - Once you have accepted a sale contract, there are several obligations you will have agreed to with our buyer. Deadlines will need to be met. Some of these to do items could include ordering a Laclede Gas or Termite inspection. When do we order the code inspection if one is required? When is the buyer's inspection - should you leave your home? When is the appraiser stopping by? When is the buyer's Final Walk-Through appointment? How to we handle Key Transfer and Utility Change over? I spent several months preparing detailed emails with everything you need to know as a seller. These emails are sent to you on the appropriate dates to notify you when something needs to be done. Typed copies of these emails are included along with a copy of your sale contract so you can refer to them in advance or whenever you want. A checklist with due dates for each activity is also provided - this is very helpful. Just refer to my checklist to see what needs to be done next and when! Being a completely informed seller will make your entire transaction proceed smoothly and with less worry. If you decide to list your home with me, you have a top agent and the #1 company to find the right buyer for your home. I can give you a idea of a possible sale price simply by researching sale activity in your area and emailing you a price opinion. But I will of course need to view your property inside and outside to pinpoint proper pricing. Then we will spend about 15 minutes reviewing the sale data together where I will show you how I arrive at my pricing suggestions given. You of course decide what price you want to start with. Once you have selected your asking price and signed our Listing Agreement, I will take multiple photos, typically 25 to 40 photos, of the exterior and interior of your home. These will be posted in the MLS and on the Internet. I use a high quality digital camera with a WIDE ANGLE lens that makes all of your rooms appear larger. Quality photos, taken on a sunny day, are so important today in the marketing of your home. In addition to our company's websites, your home will be promoted on my personal website SteveSTUD.com under My Current Listings. My website is advertised on top of your For Sale sign in a logo drafted by a graphic designer I hired. This is to market to the buyer who is out driving neighborhoods. In addition to promoting your property with multiple photos and my Virtual Tour, my website promotes my extensive Real Estate experience. This could help the buyer to make the decision to pick up the phone and choose me as their agent. The more buyers I come in contact with, increases the chances of my finding a buyer for your home myself. 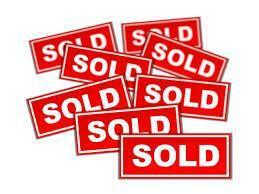 I sold TWENTY THREE of my own listings between 2007-2014. It is not a common occurrence for the typical Realtor to be able to sell their own listing to the buyer. I also have a 2nd website, hosted by Realtor.com: SteveStudnicki.com. Having an on-line presence on multiple websites, increases the likelihood of my being contacted by a buyer for your home. These EXTRA marketing tools listed above are not provided by my company, and cost you nothing extra. My personal Website costs me $49.95 per month. Realtor.com website is $245 per year. Virtual Tour service costs me $29.95 per month. The Mailboxes are $24.95 each. My wide angle camera was about $500 and my logo was $900. Most Realtors don't offer these additional Marketing Tools. 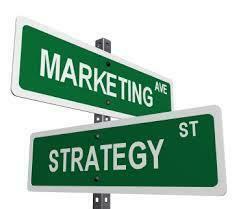 Extra marketing increases your market exposure, and thus increases the likelihood of a quicker sale and a higher sale price. Please feel free to call me at anytime if you would like to have a phone interview first before setting an appointment for me to take a look at your property. Also know.... You may cancel your Listing Agreement at anytime for any reason.